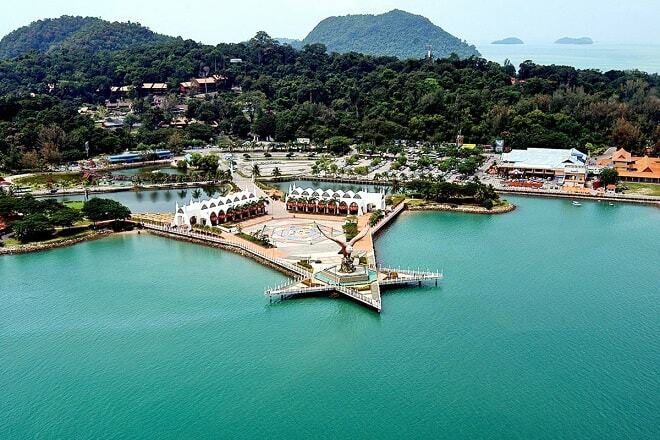 Dataran Lang, or Eagle Square in English, is a square on Langkawi near the port where ferries sail in and out. It is the first sight visitors to this Malaysian island will see when they arrive by boat. In the square is a giant statue of an eagle poised to take flight. So the jetty is close by this place, you can watch from here the ferries crossing the Kuah Bay. You can see people sitting and roaming around for a evening or night walk. Eagle square (Dataran Lang) is close to the Jetty point. 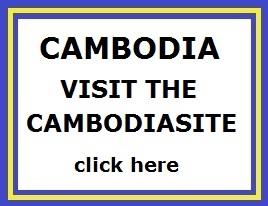 The eagle is the landmark on this square and it can be clearly seen, when you arrive by air or by boat. As in the old days mariners would be guided by the gray hulk of Gunung Raya to help guide them in to the Kuah harbour, today it is the effigy of the great eagle that has taken its place. In the evenings when the eagle and the whole area is brightly lit, Dataran Lang takes on a new visual dimension. Besides offering several beautiful views of Kuah Bay, Dataran Lang has beautiful miniature fountains, terraces and bridges. It makes this beautiful square an ideal place for those postcard-perfect holiday photos, with the surrounding mountains at the background. The square is a very good place to watch ferries ply across the harbour, but plan a trip here early in the morning or late in the evening when the sun is at its least intense. The reddish-brown eagle (facing the sea) at Dataran Lang is built as an emblem of the island. It's the most famous landmark of Langkawi. 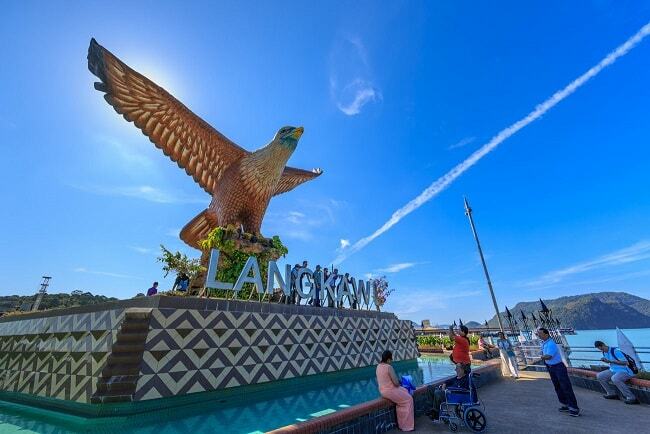 The name "Langkawi" name comes from two Malay words � "helang" (= eagle) and "kawi" (= reddish brown): hence lang-kawi. The monument is also within walking distance of some of the best duty-free shops in Langkawi and the Jetty Point Mall � chocolates and alcohol are especially good buys here. The eagle is a 12 metre-tall sculpture of an eagle poised to take flight is displayed atop an elevated platform. The square is beautifully landscaped and features scenic ponds, bridges, covered terraces, restaurants and barrel vaults made of bricks. Its close proximity to the sea and the soft breezes make it an ideal spot for leisurely walks and a tranquil setting for dining in the cool evenings. At night the square is beautifully illuminated and presents a dramatic scene as you approach the island by sea. Indeed, the majestic eagle is strategically positioned to welcome visitors to Langkawi.